Cuckooing is a new crime. Gangs befriend vulnerable people who usually live alone and use their home to sell drugs or carry out other criminal activity. 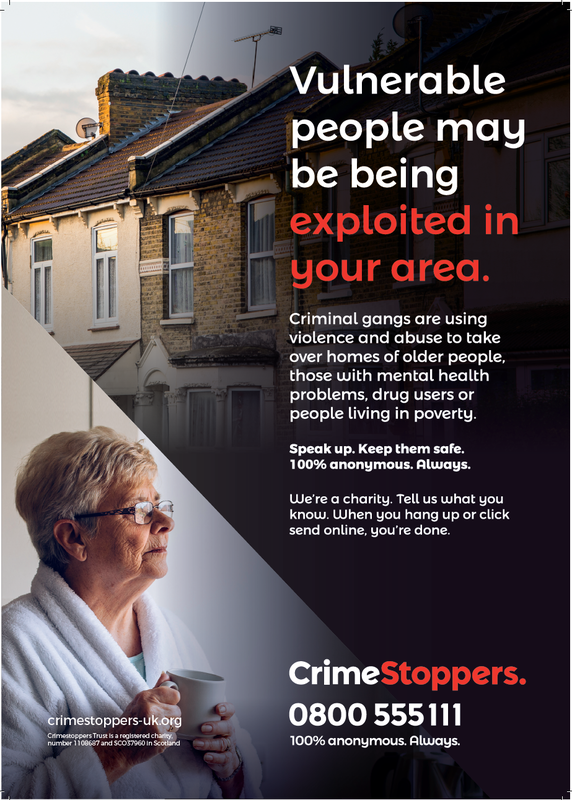 The Thurrock Community Safety Partnership is working with CrimeStoppers to prevent this abuse from happening, and to stop it when it has started.